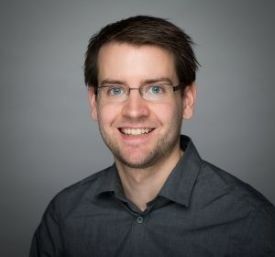 Matthias is a Postdoctoral Research Scientist in the Kennedy Institute of Rheumatology, Nuffield Department of Orthopedics, Rheumatology, and Musculoskeletal Science. He discusses his experience as a UCB Fellow. My current postdoctoral research as a PostDoc in Prof Powrie’s lab aims to characterise intestinal stromal cells and related pathways that perpetuate chronic intestinal inflammation. For this, I am focusing on the analysis of human samples from IBD patients. We are confident that insights from these studies could deliver potential cellular or molecular targets for the rational design of alternative therapeutic and diagnostic modalities in IBD. As an Oxford-UCB prize fellow, I am specifically interested in whether stromal cells – derived from the inflamed tissue of treatment-refractory IBD patients – possess a long-term immunological memory which elevates their production of pro-inflammatory mediators. Identifying the molecular mechanisms that underpin a stromal cell’s memory would help to guide the rational design of alternative memory-targeting therapeutics to dampen chronic inflammatory cues in the inflamed intestine. What I really enjoy about being an Oxford-UCB fellow is that it allows me to conduct a comprehensive study at the interface of academia and industry, which is in my opinion essential for the success of a translational research project. It is very exciting that I will have hopefully experienced all stages of bedside-guided research starting with my doctoral studies, to basic immunology research to early drug development by the end of the postdoctoral fellowship. I would encourage everyone who is enthusiastic to work with patient samples in order to discover new ways to treat chronic inflammatory diseases to apply for an Oxford-UCB prize fellowship. The fellowship is both unique in terms of duration and extent of support, and leaves a high degree of flexibility to create and translate own ideas in close collaboration with pharmaceutical development.